Real Betis have taken an alternative approach to a contentious refereeing performance – by taking clips from the recent game against Athletic Bilbao of controversial decisions and putting them on YouTube! Betis were incensed by three decisions by Spanish official Gil Manzano during the weekend game, which finished 2-0 to Bilbao. The video has amassed 14,000 views by Tuesday but was published on the club’s official YouTube channel as a response to the performance of Manzano. The three incidents which Betis complained about were that Ruben Castro was denied a penalty, Athletic’s penalty was awarded despite the foul being outside the area, and finally that an Athletic player handled the ball on the line, preventing a goal. 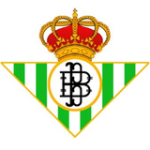 In a hot-tempered game which Manzano cannot claim to have had control of, Betis also had two men sent-off before the hour mark and three others booked. Quite what Betis expect the video will do, considering they are also 11 points from safety and bottom of La Liga, is unknown, but it has continued the strong reaction from Betis supporters. 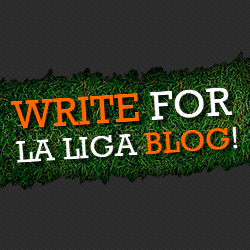 Despite the emotional reaction to the performance, Betis supporters cannot claim to have been victims this season, having won just three times under three different managers, not even an enhanced Ladbrokes promo would entice fans to bet on them. It is due to their own performances that they are in this mess and the decision to publish these errors with little intention makes them more laughable than they already were. A possible result of the clips is perhaps that Manzano is prevented from officiating a Betis game for the foreseeable future, like Mark Clattenburg had to when his problems with Chelsea flared up. We have seen that the level of refereeing in Spain is of lesser quality than other leagues in Europe – one example being the highly controversial game between Elche and Real Madrid this season. In England, a demotion to the Championship is the punishment for a poor performance, but Betis will surely share the same fate, as their survival bid takes another painful blow. Let us know what you think after seeing that video! How bad was the referee? Or is this just a shameful attempt to mask their dreadful season?